Continuing our Battle of the Bands exploration, here’s two exclusive interviews with the folks at JanSport and The Seedy Seeds, the winning band of the JanSport/Sonicbids 2011 Battle of the Bands competition. As you know, we’ve been following both the Shure and JanSport Battle of the Band’s competition for the last several months. And as part of our exploration to see how BOTB competitions impact the relationship between fans, bands and brands, we asked both JanSport and The Seedy Seeds a few questions about their experience during the competition and the finale at SXSW 2011. As you’ll see in the interviews below, the JanSport BOTB contest has had a positive impact on The Seedy Seeds so far. Of course, we don’t know the long term impact because we don’t know how their career will evolve. But, judging by their responses, it looks like all the hard work the band put in these last few months to win the competition was worth it. I have no doubt that JanSport takes pride in introducing emerging music to their community of fans on their UnZipped blog. But it still remains to be seen how exactly the fans are impacted beyond the music and marketing. Yes, I know Colleen and I, and the other fans, had fun taking photos and rocking out to the live music during the SXSW party at Maggie Mae’s. But, as we’ve shown before, I think there can be a lot more done to enhance the live music experience besides concert fan photo booths and free brand swag. And I know the goal of any brand is to NOT end up in the lyrics of a Concert Fan Complaint Choir. So we’ll certainly share with you many more creative opportunities for brands to raise the bar on the concert fan experience as our exploration continues. And if you do have something to say about JanSport’s SXSW 2011 experience, you’ll have a chance to chime in below. Now, let’s get to our chat with the JanSport team. And then we’ll see what The Seedy Seeds had to say. LF: How have yours and your team’s live music experiences influenced and inspired the JanSport Sonicbids contest? JS: Self expression has always been at the core of the JanSport Brand, and this competition truly allows us to embrace that attribute via music. Last year’s Battle of the Bands was a huge success for JanSport and an incredible experience for us as we became exposed to so many talented musicians around the country. There are many things a brand can do to make a concert experience and a Battle of the Bands contest unique, so in what ways did JanSport innovative the live music experience at SXSW? Live music is a form of self expression very near and dear to the heart and history of the Brand that was born in 1967 during the summer of love. Helping give an up-and-coming band the opportunity to play at SXSW is unique to our heritage and we were in awe of all of the talented artists that surrounded us at the Sonicbids showcase. JanSport does many special fan-centric events via the Unzipped blog, so during the contest and at SXSW, what did you do to make the relationship between the fans, bands and JanSport personal and memorable? What separates yours from other BOTB contests? JanSport was sure to promote the contest via our music blog, Unzipped, as well as our other communities on facebook.com/jansport and JanSportGear on Twitter, throughout the entirety of the contest. Unique to other contests, JanSport’s Battle of the Bands allows our community of music fans to select their favorite bands out of the thousands we had enter the competition. The fans determined the top 10 finalists and we were thrilled that The Seedy Seeds, with such talent and unique sound, won! As a brand/sponsor, what do you think is most important when developing, promoting and executing a BOTB contest? What did you do to make JanSport’s contest strategically unique from other BOTB contests? Again, it is important to have our community of music fans cast their vote for the bands that they want to hear and see when they come to SXSW. To that end, our Battle of the Bands contest provides a unique platform for music fans to engage with one another via our www.jansport.com/battleofthebands site and vote for their favorite, all the while creating a space to learn about new artists from around the country. What did JanSport and Sonicbids team learn the most during contest and what would you do differently for the next contest? JanSport has a large presence in Canada and having had the opportunity to meet so many new talented musicians from there at SXSW has inspired us to want to open the contest, next year, to the Canada market. More details on that to be announced soon. 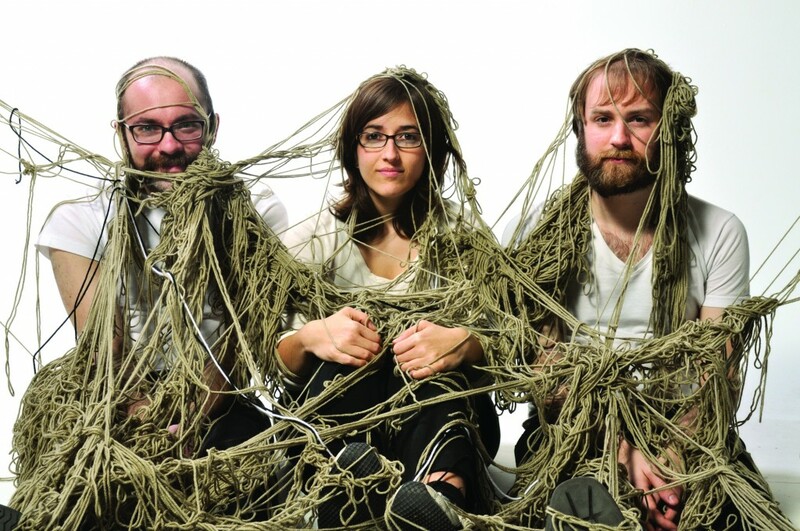 Now, here’s what The Seedy Seeds had to say when we asked the Ohio-based trio about their BOTB and SXSW 2011 experience. LF: What was your experience like throughout the Battle of the Bands contest? Take us inside the band’s heart and mind during your performance at SXSW. SS: We were recording an album at the time the contest was going on, and everything was really hectic. We had to stay on top of band business while basically pulling 20-22 hour days between the studio and our various other jobs. So while one of us was recording a part, the rest of us were trying to work our social networks and try to get people to vote every day. It was a pretty exhausting time, mentally and physically, because the album recording process was so grueling and we weren’t sleeping much. When we finally finished recording the album, we had a couple of days before we had to shift gears entirely to get ready to actually release it. It was during one of those couple of days, I think–where the album was done but we didn’t really take any time to catch our breath yet– that we got the phone call saying we had won the Battle of the Bands. It was a really great moment where we were basically forced to take a step back and appreciate what we’d just been through and celebrate what we’d accomplished. South by Southwest was indescribably awesome. When we got to the Sonicbids/JanSport showcase it was first thing in the morning, and we knew that we had family and friends who had come into town just to see us at this show, and it was a mix of sunburn, exhaustion, elation, pride, and excitement; then we actually had to remember how to play our songs! How did the BOTB contest influence the band’s chemistry, dynamics, and your performance at SXSW? What would you tell other bands who are thinking of entering a BOTB contest? Honestly, winning the contest really helped our ability to network during SXSW, which is what I believe is best part and the thing that is most helpful for most bands during the festival. I think the rock and roll dream–where Mr. Big happens to see your set, walks up to you afterwards with a record contract and all your troubles are over–is never going to happen these days, especially with the way the industry has changed. SXSW is an industry buffet, where people from the industry actually have a chance to sample things that they would never otherwise try. So going to all the label showcases, handing out flyers or business cards or just straight-up talking to people, is the best thing you can do. By winning the BOTB contest, you get to play the official showcase which puts you in front of even more industry folk (you still have to introduce yourself but at least they had a chance to see what you had to offer!) and new fans. As it turns out, the people that we met from JanSport and Sonicbids not only gave us a chance to give our career another push towards the edge, but they also happened to be totally sweet people and we have gained some really good friends along the way! How do you think JanSport, Sonicbids and other brands can improve the BOTB experience? If you could pay off my student loans that would be pretty amazing. What are your top 5 most memorable concert experiences as a band? And your top 5 just as a fan? What artists have inspired your live music performance? I think the thing that inspires us most is when a band, no matter who they are, what they are, or the kind of music they play- can really make me understand that they believe in their music. When I can watch a death metal band or a folk band or a jam band or whatever, and I can look onstage and see that each member honestly believes in their music, and that there is nowhere else on earth they’d rather be than playing in this city, at this dirty bar in front of these ten people, and they play like they’re playing to The Buddukan in 1977, It makes me really connect with them and it makes me want to do my absolute best every moment I’m in a band. When I saw Metallica, for instance, no matter what you think of them or their style of music or them personally, I watched them play to an arena full of fans, playing songs they’d played thousands and thousands of times, and every single one of them had a genuine smile on their face, like they can’t believe how awesome it is that they’re in Metallica and they get to play their songs every night. Thanks again to JanSport and The Seedy Seeds for sharing their BOTB and SXSW 2011 experiences. You can check out the new Seedy Seeds album “Verb Noun” (official video below) on their Bandcamp site and also listen to a streaming compilation full of groovy cover songs performed by their friends. If you saw the Seedy Seeds, or were at the JanSport/Sonicbids SXSW 2011 party, drop us a comment and let us know what you enjoyed the most. We’d love to share your story with other concert fans too! How Does Your Brain and Heart Remember Your Favorite Concerts?